When Fujifilm announced the first X100 series model back in 2010, it was clear it was going to be a revolutionary camera. I bought my very first X100 camera in the spring of 2011 and, since then, the models in the series have been a daily companion, becoming my number one cameras for documentary and travel photography. I think it's important to set the scene. Back in 2011, I was looking for a more portable and accessible camera for everyday use, a camera I could carry with me at all times so that no photographic opportunity could be missed. Throughout 2009 and 2010 I had tried a few pocket cameras, but there was nothing on the market that could match the image quality and performance of my DSLR. Whether it was down to shutter lag or image quality, the resultant images simply weren’t good enough to be used professionally. The Fujifilm X100 camera was a new chapter and its evolution through the X100S, X100T and the latest X100F has seen it become a little powerhouse of a camera. And, at only 469g with the battery and memory card installed it’s exceptionally comfortable to carry around all day, even hanging around your neck. The X100F is the fourth generation of the X series camera. For those into names, the 'F' suffix is for fourth, with the X100S being second and X100T being third in the range. The X100F brings some major upgrades to the series. It is important to note that the camera has the same X-Processor Pro and 24MP X-Trans CMOS III that appear in both the X-Pro2 and X-T2 cameras, with the key difference being the fixed 23mm f/2 (equivalent to 35mm in 35mm terms) lens. In essence, this means I can achieve the same image quality using the X100F as I do taking commissioned shots with my X-T2 camera. 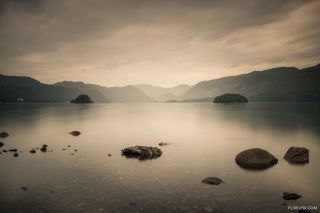 In fact, many of the images I have captured with the X100-series cameras have been used professionally in a range of settings, from album covers through to travel guides. So, what makes the X100 series special? The X100F sees a significant upgrade over previous models – even the X100T – in the form of the 24MP X-Trans CMOS III sensor and X-Processor Pro, the combination of which produces stunning JPEG and Raw files. The X100F also allows you to not only customise the majority of the physical buttons on the camera, but also to have full control over the captured file. The power features continue with face and eye detection, which are very handy for casual shooting at family events or while on holiday. Like its predecessors, the X100F offers a hybrid optical/electronic viewfinder, and it’s easy to switch between the two options, even while the camera is up to your eye. I really love the digital viewfinder as it offers an accurate prediction of how the image will appear, with any custom settings, exposure compensation or Film Simulation options you may have applied. The lens on the X100F is the same as on previous models. The 23mm f/2 lens (equivalent to 35mm in 35mm terms) offers a minimum-focus distance of approximately 10cm, which is great for close-up shots, while the nine-bladed aperture diaphragm offers really nice, bokeh-rich backgrounds. The X100F sees an improved autofocus system over previous models, with an easily accessible thumb stick that allows quick and easy control over the autofocus point. Focus tracking is much improved too, while back-button focus shows the X100F to be a photographic tool for every situation. Fujifilm offers two conversion lenses for the X100 series cameras: a wide-angle converter that changes focal length to a full-frame equivalent or 27mm, and a tele-conversion lens that brings it up to 50mm. I pack both lenses when travelling, the latter being a favourite for closer portrait work. The X100F also introduces a new Digital Teleconverter system that boost effective focal length to 50mm and 70mm (approx), and this digital conversion also works with the teleconverter lens attached. You can rotate through the two additional focal lengths by rotating the barrel ring, as you would on a zoom lens. The one drawback – if it even is a drawback – is that the digital tele-conversion is only available when shooting JPEGs, rather than Raw files or Raw and JPEGs combined. To be honest, the X100F's JPEGs are so good that this isn’t much of a worry. I tend to shoot Raw+JPEG when using my X-Pro2 and X-T2 cameras, and find I discard the Raw files on import. The X100F is a fixed-lens version of X-Pro2 or X-T2, and the 35mm focal length (full-frame equivalent) is exceptionally versatile. That said, the 50mm and 70mm digital conversion offers additional scope, especially when photographing people. One of my favourite features on the X-series cameras is the Film Simulation modes. There are fifteen different modes to choose from, with Classic Chrome and ACROS+G being my go-to modes for colour or mono capture. The Film Simulations are easily accessible from a single button on the back of the cameras, and the X100F provides a preview via the digital viewfinder. The Film Simulations are particularly useful when travelling as it’s possible to wirelessly transfer your JPEG files to your phone for mobile sharing on social media sites. The X100F offers two types of shutter mode, mechanical and electronic. You can select either option, or allow the camera to decided which is the best option based on metering. In addition, you can turn off the camera's sound effects, focus-assist light and the flash, and with the electronic shutter this offers as close to silent and discreet shooting as possible. The silent mode is great for casual travel and street photography; I often find myself simply locking the aperture at f/7 and pointing the camera in the general direction of a scene. The X100 series cameras all offer the ability to capture and automatically stitch large panorama images. When in the panoramic mode, you simply sweep the camera across a scene and you will hear the shutter capturing a series of images that are then stitched together into a single JPEG file. If you have lots of changing light levels it can take a few attempts to get a clean JPEG without any issues, but the resultant files are excellent. I even have a few printed large and mounted on the studio wall. There are a number of key advantages offered by the X100F when it comes to travel. I've already mentioned Wi-Fi transfer, which is great for social sharing or photo editing in Lightroom mobile. The X100F offers approximately 270 images per charge and the battery can be charged over USB, so there's little need to pack a charger and power cable. There's also no need to pack a dedicated camera bag for your travels as Fujifilm offer a little brown leather case, very much in-fitting with the camera's retro look. The case is superb and offers excellent protection as you can carry it in your rucksack or carry-on baggage, without having to worry about damage. When it comes to down to portability, power and versatility the X100F is a master. It’s great for a wide variety of situations from casual documentary travel photography right through to capturing detailed landscape panoramic and long exposures. Travel is about portability and the X100F form factor ticks all the boxes, with its size and weight making it a perfect companion in every setting. Although the camera isn’t actually weather sealed, the official Fujifilm leather case offers excellent protection from the elements, or when carrying the camera in your hand luggage. Most importantly, the X100F image quality is stunning. With the same processor and sensor as the X-Pro2 and X-T2, the little X100F is capable of producing breathtaking 6000x4000pixel images. It can be easy to assume that the retro look means a primitive approach to photography, yet in reality, the X100F offers all the sophistication of the modern system through in a traditional form. In my opinion the X100F puts the fun back into the capture process and is a real joy to use. David Cleland is an official Fujifilm X photographer. To view more of his work, visit his website or Facebook page, or follow him on Twitter or Instagram.